Which one is the Best British Tv Series of 2019? There are a lot of popular Tv Series in UK Televisions. 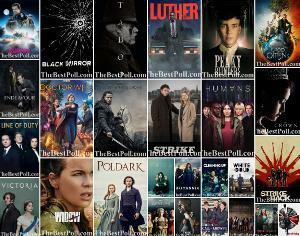 We decide to choose the best TV Series with country of origin United Kingdom. This list is composed of British Tv Series of 2019. Here are our picks for the best TV Series of 2019. Choose your favourite one and vote! The Last Kingdom is by far the best series ive seen in a very long time. Everyone on that show are incredible actors. My step mom came for a visit,and she fell in love with the show as well.